How was your weekend? Mine was productive and suprisingly very interesting. I listened to a lot of old songs, where i could remember the good ol’ days. That’s exactly the feeling I get of winter you know. Remembering how it used to be and looking forward to what comes next. If you read my previous music posts then you know that my music taste is very wide. Therefore the songs are also from a wide playlist. Whenever I want to listen to songs of the past I always want to listen to songs of the first Bollywood movie I have watched: “Kuch Kuch Hota Hai”. Everytime I listen to Tujhe yaad na meri aaye it tugs at my heart and brings small water bulbs in my eye. 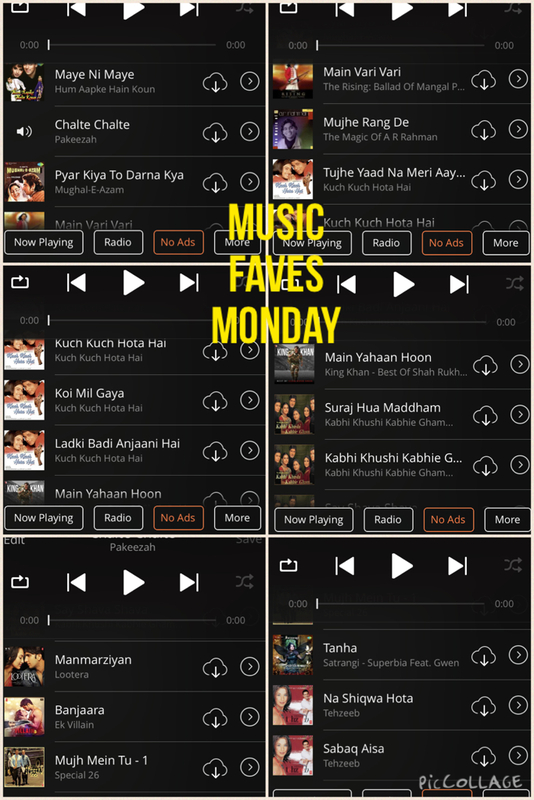 These are the songs I’m currently listening to on my Saavn app. Amazing and a bit nostalgic. I am really into the golden oldies and my ears were really longing to hear these songs.